Myanmar shares borders with Bangladesh, India, China, Thailand and Laos. It is 678.500 km² (twice the size of Italy), is the largest of the South-east Asian countries and is crossed by the Tropic of Cancer. The population of nearly 60 million people consists of many ethnic groups including the Bamars, Shan, Karen, Kachin, Mon e Rakhaing. The predominant religion is Buddhism. The life expectancy for men is 58,4 years and for women 64,2 years. The infantile mortality rate is 69 per thousand, putting Myanmar in the category of the countries with the lowest human development rate. Almost 79% of the population lives in rural areas and one third lives under the poverty line. (US$1 a day according to the World Bank). 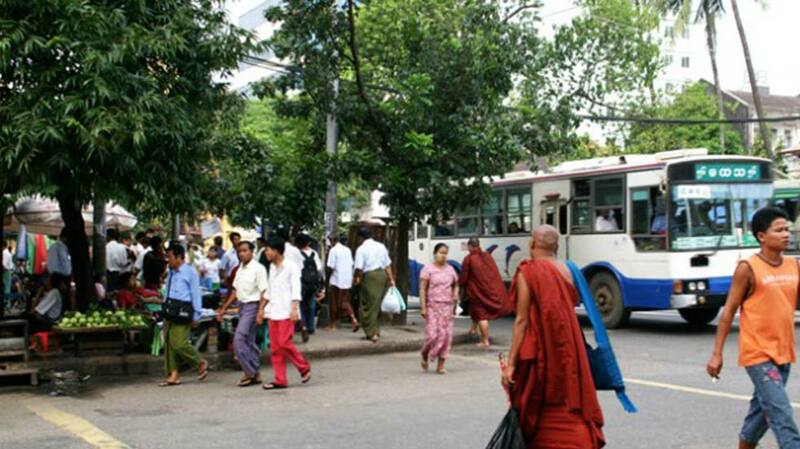 Yangon, the commercial, diplomatic and financial heart of the country has 4 million inhabitants. In 2066 the government moved the capital from Yangon to Naypyidaw. Since 2010 the country has undergone unprecedented changes with the former military leaders adopting civilian status and pointing the country on the road to democracy. The changes are most obvious in big cities like Yangon where a plot of land in the centre of town now costs more than in Manhattan. Tourism is booming, but also causing problems as there is a shortage of hotel rooms and tourist infrastructure. In December 2013 Myanmar organized its first major international event, the SEA Games and in 2014 it will take over the ASEAN chairmanship.